One part of my body I haven’t been happy with for the past few years has been my eyebrows. I had a bad experience about two years ago. I went to get my eyebrows waxed and the girl seemed to be in a rush and had no interest in what she was doing. I ended up with half my left eyebrow waxed off and have been trying to regrow it ever since. I am a firm believer that your eyebrows should be sisters and not twins, mine however looked more like adopted sisters! 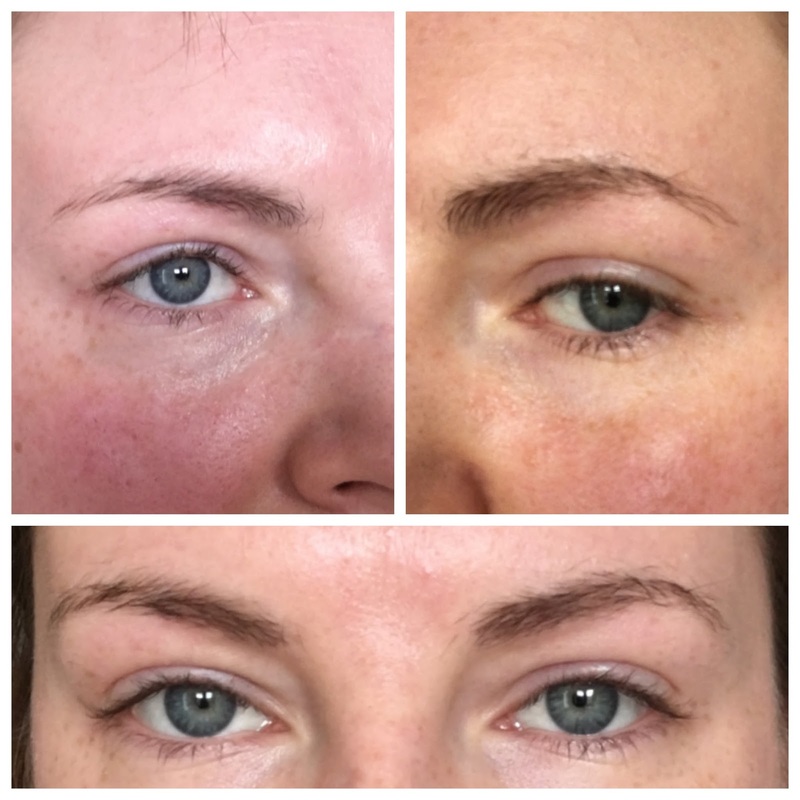 A few weeks back I was contacted by the lovely Olena from luxurypermanentmakeup.ie. She offered to give me permanent ombr? brows in exchange for a blog post! I was over the moon to be contacted and so grateful to be given the opportunity to finally get my eyebrows fixed. In the past I have looked into getting semi permanent brows or embrowdery but I was never willing to bite the bullet and spend the money needed. Ombr? 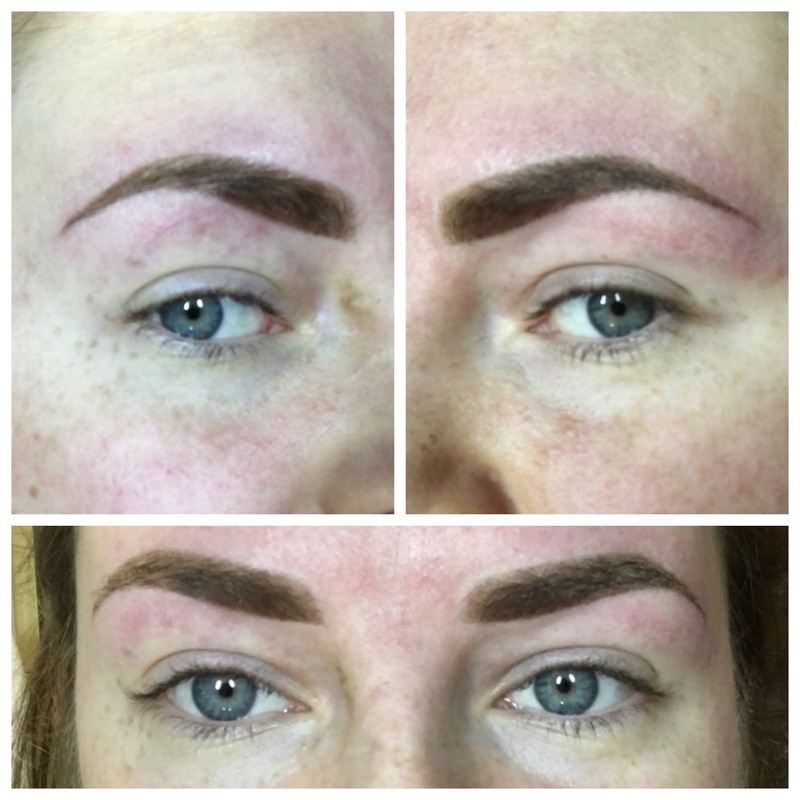 Brows are very new to Ireland and Olena is the first person in Ireland fully qualified to do them. Before agreeing to the treatment I did some research and they are big in the US and gaining popularity in the UK. Olena is an award winning permanent makeup artist with a host of qualifications under her belt so I knew I was in the right hands. I made my way into the city centre to Olena’s base on Westland Row. She is so lovely and we immediately started chatting away as I read through all the forms. To start off, Olena used a brow pencil and gel to map out the shape of my brows. I could tell straight away that this is a woman that knows what she is doing and settles for nothing but the best. She spent nearly forty minutes drawing the shape of my brows to make sure they were perfect. The next step was to start the permanent brow process. Basically this means tattooing my eyebrows on, but unlike a regular tattoo this doesn’t penetrate every layer of skin so it will last for 18-24 months, not forever! Olena will match the pigment she is using for your brows to the colour of your hair or slightly lighter if you have highlighted hair. The first step in the tattooing process is on the very upper layer of skin. Whilst Olena said it can be slightly painful I didn’t find it bad at all. It felt like a pin was being lightly scraped across my skin but it didn’t hurt. 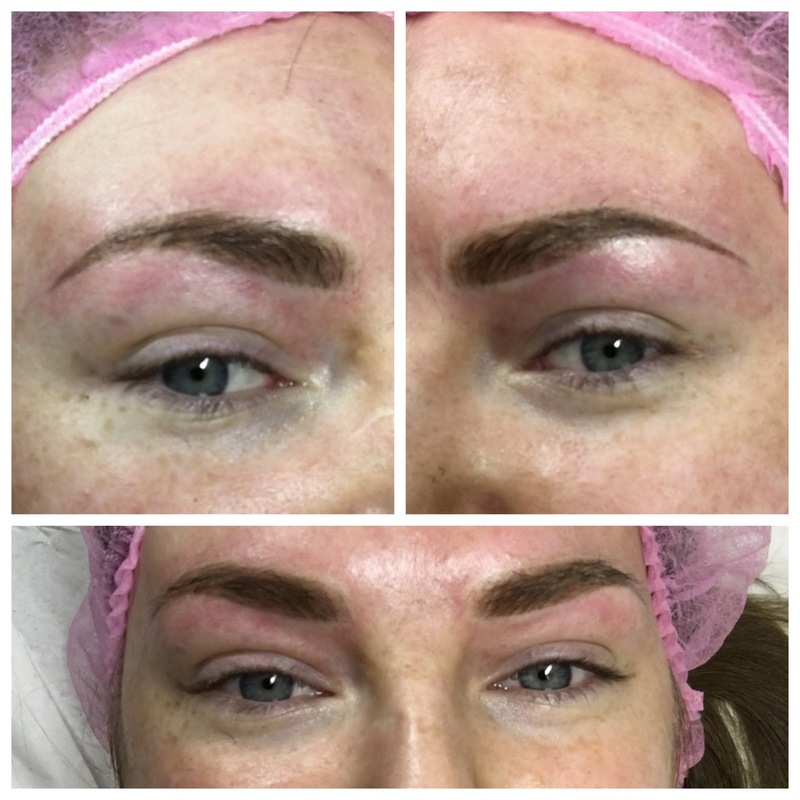 The next step was to tattoo slightly deeper into the skin layers and for this a numbing gel is applied over the eyebrows to numb the area first. I’m sure without the gel this part of the treatment would be sore but I barely felt a thing. It was more of an uncomfortable feeling of pressure on your eyebrows but definitely not painful. I was really impressed throughout the treatment with Olena’s work. She is very much a perfectionist and whilst this approach might take slightly longer it means that I know they’re perfect as they’re not a rushed job. 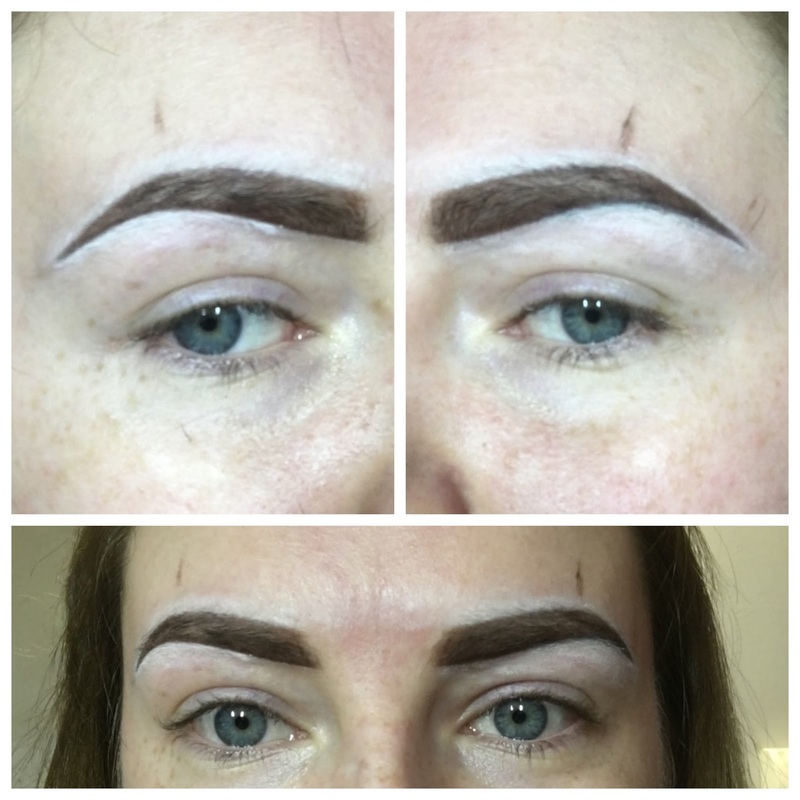 I’ve had my brows ruined before from a rushed job and I definitely never want that experience again. Overall the entire treatment took two and a half hours and I will have to go back in a month for the final top up treatment. Honestly I cannot stop looking at them every time I catch site of a mirror, vain eh!! I’m over the moon! Another upside to having permanent brows is I don’t need to worry about them when I’m throwing on makeup in a hurry to get out the door every morning, it has definitely shaved off at least five minutes from my morning routine. I’m not wearing any brow makeup in the picture of the blog headline! The service normally costs ?350 for the first appointment and ?100 for the top up but Olena has slashed her prices and is now offering the full treatment for just ?350! I would highly recommend getting the treatment, you won’t regret it.You can contact her on 0831274111 or email pmubyolena@gmail.com to book and remember to tell her I sent you! Also make sure to check out her Facebook page for regular updates, photos and special offers. Keep an eye on my Facebook, Twitter, Instagram & Snapchat for more updates and Snap or Tweet me your pictures of your new brows! 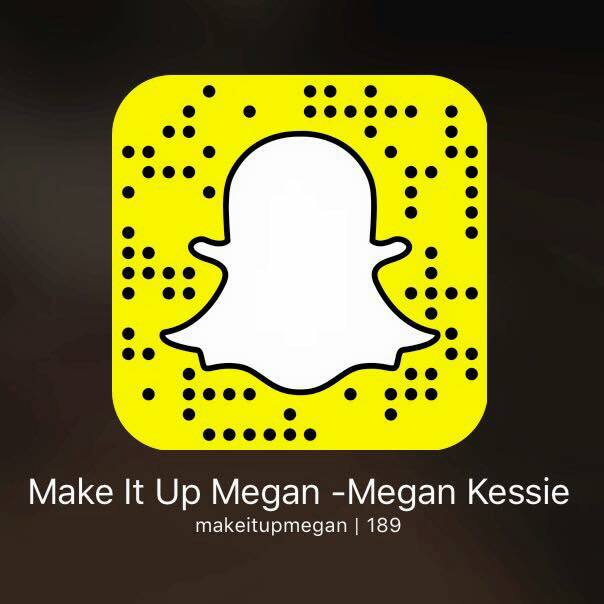 Pingback: 2016 Beauty Favourites - Make it up Megan!